Rocco Nacino revealed his learning as he builds his dream house. "For me, nakaka-mature din ito, this whole process of putting up a house. You learn how to make decisions of your own." Kapuso actor Rocco Nacino revealed that he is in the process of building his own house intended for his future family. Though he is currently single, the 30-year-old actor said he hopes to settle down before he turns 35. “It will come,” he said, referring to his love life. In the meantime, Rocco's focus is on his house project and all the blessings coming his way. “Now, with everything that’s happening, I’m really happy with what I’m receiving." Apart from acting projects, the StarStruck alumnus is busy with five business establishments he co-owns, either with family or business partners. He is seen in the GMA Afternoon Prime drama Haplos, after portraying the role of Aquil in the 2016 reboot of Encantadia. Rocco also starred in the film Bar Boys released this year. “I’m putting up my house, so dagdag stress," he admitted. “But it’s a house I’m putting up for my future family, so if ever ready na ako, game na game na. Rocco was interviewed by PEP.ph (Philippine Entertainment Portal) and other bloggers, Thursday, November 9, at Backyard Kitchen + Brew. 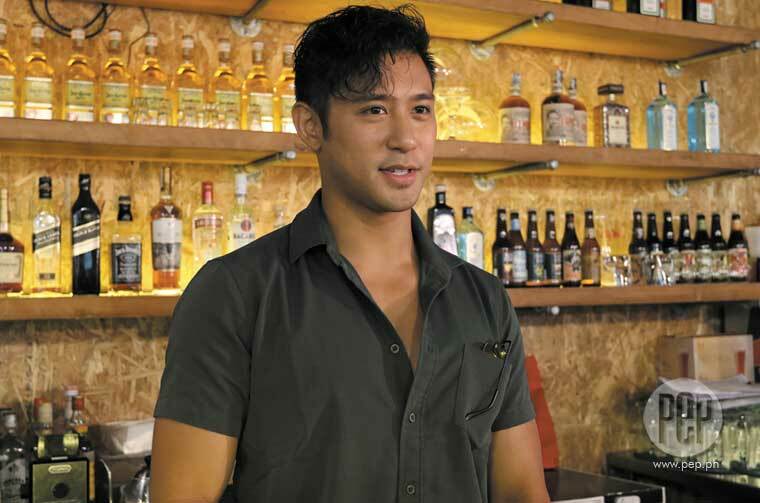 He is one of the partners in the resto-bar located on the 4th level of Uptown Mall in BGC, Taguig. Rocco said the house he is building is located in Antipolo, Rizal. He noted that he is still completing the requirements needed to start building. “In the process pa. Ang pinakamatagal pala na proseso, yung permits, how to have it ready. “Ang dami ring binabayaran. It’s like P20,000 agad just to remove all the trees. “A lot of waiting also. “But at the same time, finalizing the plans. MULTI-MILLION PESO DREAM HOUSE. PEP.ph directly asked the actor about his budget for his future house. “It is big," he conceded. “I’m doing my best in cutting down cost. “I was supposed to have a roof deck,” he added, but decided to scrap the plan to cut down on expenses. The Kapuso actor revealed, “For me, nakaka-mature din ito, this whole process of putting up a house. “You learn how to make decisions of your own. “It’s a lot of work, but I think in one or two years’ time, okay na ‘ko. The Haplos star added that his architect is his mom’s friend. “Ipinakita sa akin yung work nila and I was really impressed with it. “Since she knows me, kilala niya ang ugali ko, sakto. "It was more than I expected when she showed me the perspective of what I wanted to see. “It’s very modern, a lot of wood, a lot of windows. "It’s going towards a glass house. Siguradong magastos yun,” Rocco said, describing his future house.